Let the Kitchen Games Begin! Brad and I bought our house in late 2006 and started moving in the following spring. It’s a funky and modern home — an envelope house, if you will, which basically means it’s a house inside of house and is passive solar. We have four different levels, with non-heated atriums on the first three floors. For the most part, each level mimics the other, except the very top, which does not have the atrium and has a slanted roof instead. 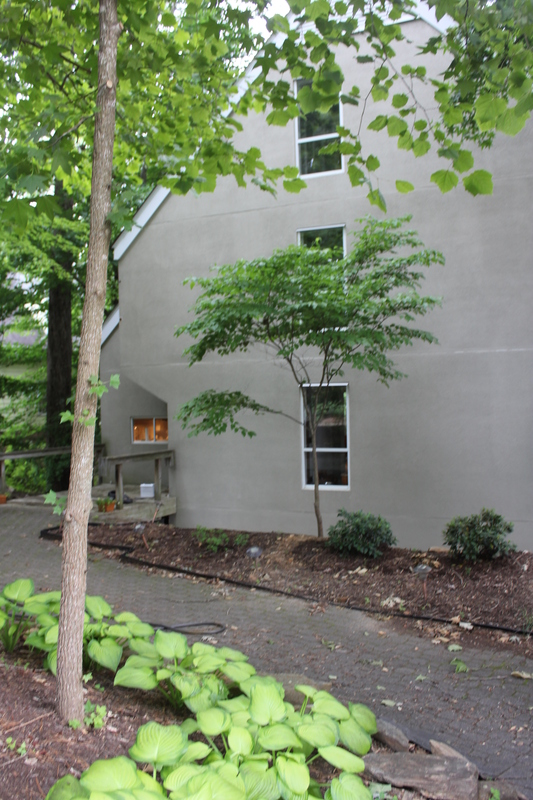 If you count the atrium space, we have approximately 4,400 square feet, sitting on almost ¾ acre wooded lot. 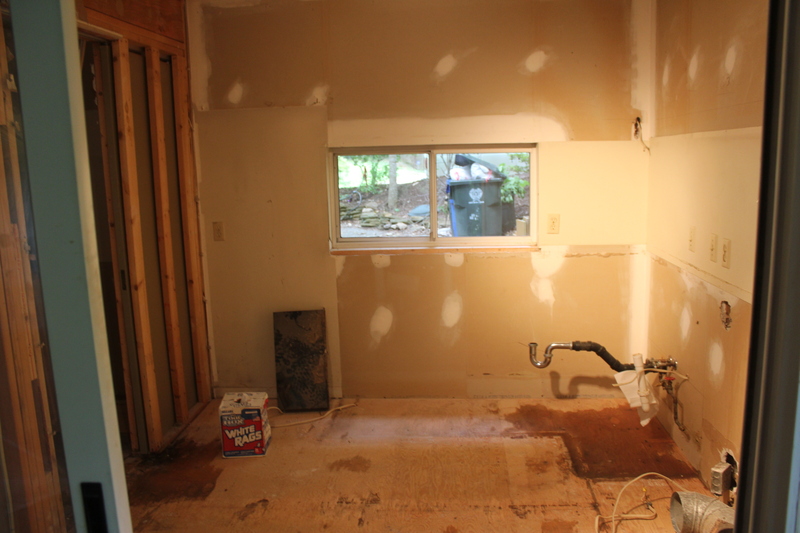 The house was a foreclosure, which was the only way we could afford something with so much room in this location. 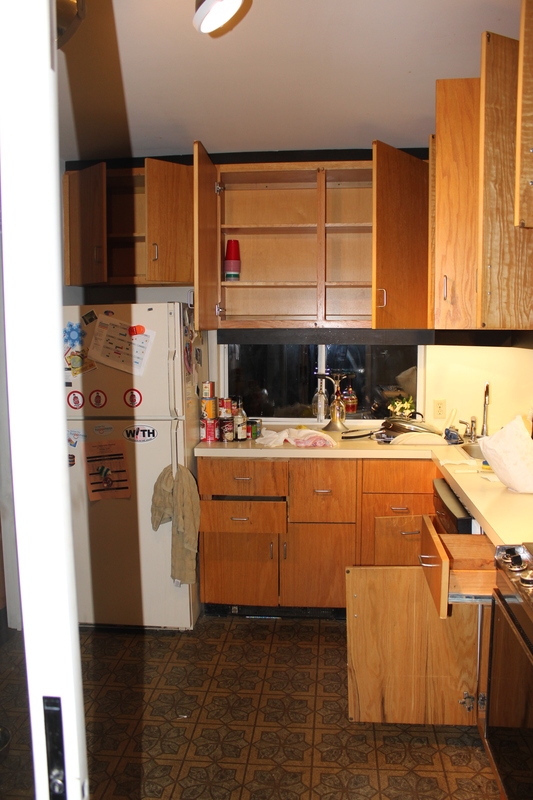 It was built in the mid-1980s, which certainly is reflected in the kitchen (and bathrooms, but I’m not even going there.) The kitchen itself is miniscule (90 sq. ft.) – I guess they didn’t cook much in the 80s, LOL. 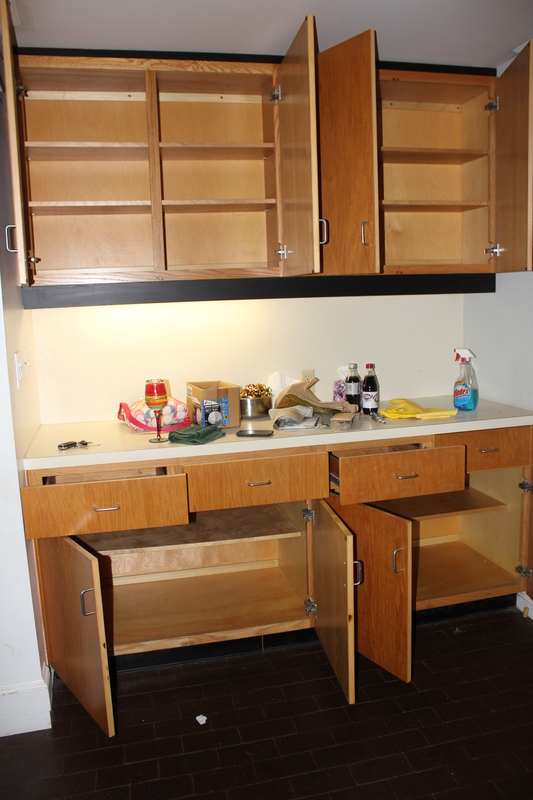 Luckily, cabinet space has not been much of an issue, since a wall of them live right outside the kitchen proper. Anyway, we knew one of our first projects was going to be a complete kitchen remodel, right after we had the deck built a few months after moving in. 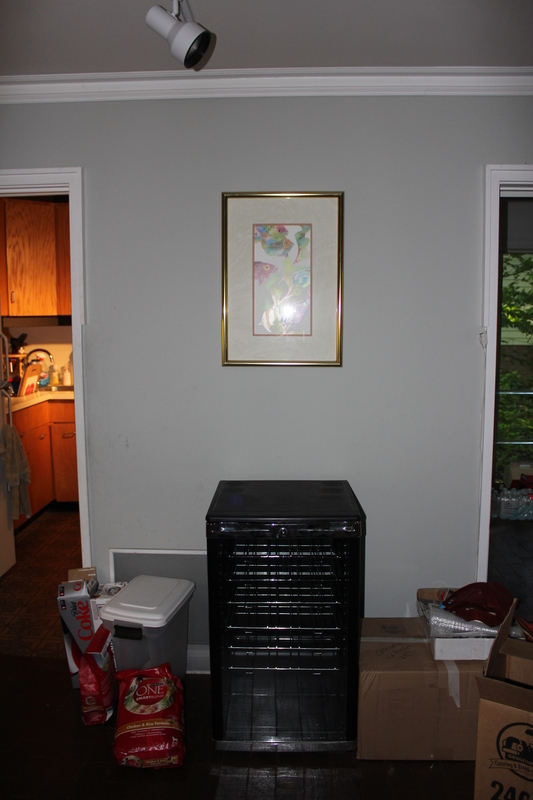 I’m talking all new appliances, cabinets, floors, counters, lights, etc., plus knocking down a load-bearing wall (see below), adding an island, moving plumbing and enlarging a window. A major undertaking, to say the least! Flash forward to six years later …. This entry was posted in Kel's Kitchen Redo and tagged Brad and Kel's kitchen remodel, eat drink and be merry, kel's cafe of all things food, Kel's kitchen redo, Kelley Chisholm kitchen remodel, kitchen remodel on June 26, 2013 by kelscafe.